Summary: Remember the headlines that first mentioned bitcoin, Mt. Gox, the Silk Road and Bitcoin Jesus? Those were fleeting peaks on the events unfolding behind closed doors in the development of bitcoin. Digital Gold is your backstage pass to those events. It’s a compelling and extensive narrative that gives a reader a personal look at the heroes and villains of bitcoin’s brief history. Digital Gold presents the most extensive history of bitcoin thus far, making it an invaluable page-turner for bitcoin aficionados and newbies alike. It follows the ineptitude of Mt. Gox CEO Mark Karpeles (and his cat), the rise and demise of the Dread Pirate Roberts and bitcoin evangelists Roger Ver and Charlie Shrem. Digital Gold is a must read for anyone interested in understanding what many consider to be the greatest invention since the Internet. In April 2013, New York Times technology and finance reporter Nathaniel Popper described the Winkelvoss twins as “the first prominent figures in the largely anonymous bitcoin world”. This was the first time Popper had covered bitcoin, but would not be the last. The bitcoin world is less anonymous today, but until Digital Gold, we’ve lacked an accessible account that traces today’s growing bitcoin industry back to the early days. 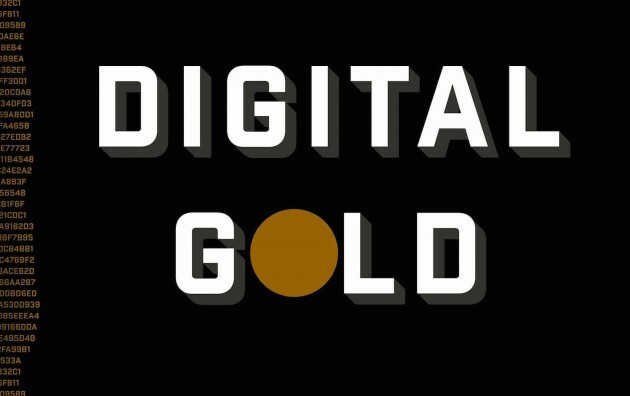 Digital Gold is the perfect resource for the reader interested in the work that preceded bitcoin and the extent of its uses today. Bitcoin is constantly editorialized; while some write its obituary (again and again), others envision its revolutionary future. Nathaniel Popper approaches the scene as a curious observer who condenses the passionate voices of bitcoin visionaries and nemeses into a detailed narrative. He first began covering it when the Winklevoss twins started purchasing large quantities of bitcoin in 2013. Since then, he has maintained a remarkably objective tone in his reporting. His continued reporting on bitcoin through the past few years has helped bring bitcoin’s saga into mainstream media and equipped him with the experience to write this book, the first of its kind. The adventure begins in old chat rooms, where cypherpunks pioneered public/private key cryptography, and picks up steam from there. It explores the first bitcoin transactions, the first bitcoin giveaways and the early stage discoveries, giving an intimate account of bitcoin’s protagonists that lets the reader watch over their shoulders. Following the characters from news headlines makes for a nervous first hand ride as we watch the rise of the Silk Road and Mt. Gox, with all the early problems that each faced. 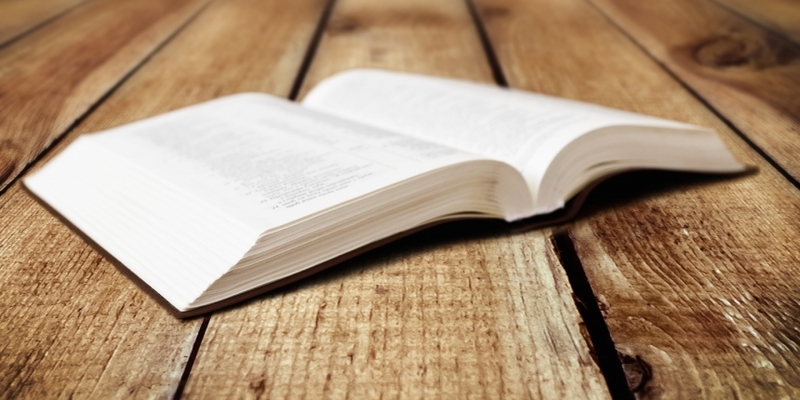 A great strength of the book is not just the extensiveness of the research, but the way in which it is fit together. It both maintains the intimacy of exploring bitcoin’s past with the main characters and weaves the different threads in and out of each other as the bitcoin community grows in size. One of these cases comes from bitcoin’s use in an Argentine black-market currency exchange (a teaser is available here). Seeking to curb inflation, the Argentine government put in place currency exchange controls to stem the flow of dollars out of the country. They placed no such restrictions on bitcoin and so “bitcoin … was on display in Buenos Aires, at the first conference hosted by Bitcoin Argentina”. With conventional banking services, event organizer Diego [Gutierrez Zaldivar] would receive 595 pesos for a $100 ticket after a 20 day wait. However, using Argentine startup BitPagos, each $100 ticket yielded around 920 pesos. No longer a thing of speculative uses, bitcoin is now used by freelancers and businesses working with foreigners. These currency controls are response to a larger problem in Argentina; chronic inflation which regularly destroys family savings. This life experience is what stirs Argentine entrepreneur Wences Casares to action and what draws Popper into leaning heavily on his perspective. A candidate for most interesting man in the world by Popper’s account, Casares acts as the first high profile bitcoin evangelist. He introduces many notable players to bitcoin, each of which will lead the reader to say ‘ah-ha’ out loud. Casares also argues for the widespread adoption of bitcoin as a digital asset (a perfected version of gold), making for a rather uncoincidental title of the book. He serves largely as the protagonist of Popper’s work and his involvement goes well beyond organizing the first Argentine Bitcoin Meetup and running what was for a time the best funded bitcoin startup. Popper uses Argentina to describe real uses in a unique political economy but also jumps around the world to Japan, China, and Tahoe to describe the many other niches of bitcoin’s development. In doing so, Popper never fails to include a bit of bemused comedy. He follows the rise and fall of the comically inept Mt. Gox CEO Mark Karpeles (“He was two years into running the world’s largest bitcoin exchange, but had still not attended a single bitcoin event abroad – a fact that he blamed on the sickness of his cat, Tibane, who needed daily shots that Mark believed only he could administer”) and the rise (and fall) of Silk Road (the customer review of anonymous merchants fed a “feedback loop [that] created a remarkably engaged online community in which pot and heroin highs were discussed with the same level of analytical detail that Consumer Reports brought to its toaster reviews”). Popper briefly describes the spending habits of the new bitcoin elite, illuminating the seedy underbelly that turned many away from bitcoin. Not whitewashing the behavior of the some early adopters, Popper covers the rise and fall of BitInstant and Charlie Shrem (“bitcoin’s first felon”) as well. Popper uses this opportunity to show a transformation in much of the bitcoin community away from the early crypto anarchists who supported bitcoin for philosophical reasons, towards a growing desire from governments, individuals, and those looking to build bitcoin businesses for sensible regulation. Much to the relief of the reader, Popper never brings up tulips. While they were mentioned in his first article on bitcoin, Popper has avoided the temptation that traps so many. Bitcoin, he alludes, is here to stay. Unraveling the story you already partially know, each page of Digital Gold is read with eager anticipation. It builds from unfamiliar territory before bitcoin was in the news and with each chapter it slowly tilts the focus from the past to the future. This pivot comes late in the book as Popper hurriedly tries to tie up loose ends while maintaining the objectivity that makes the rest of the book so excellent. It leaves the reader wanting more, sparking a curiosity about the many things that have happened since mid 2014. This abruptness is notable when Popper introduces M-Pesa (a mobile money) only fleetingly. Many bitcoiners excitedly prophesy that bitcoin will help bank the unbanked and supplant remittance services like Western Union. Popper mentions these cases and their supporting voices, but sheds no light on the use of bitcoin in the developing world. If many in the community are so convinced this is bitcoin’s killer application, why doesn’t Popper explore it further? A compelling alternative would be to introduce these ideas (among others) in an epilogue that looked towards the future of bitcoin and explained these use cases a bit more. While Popper undoubtedly wished to discover mysterious bitcoin forefather, Satoshi Nakamoto, Digital Gold makes clear that it doesn’t matter much who Satoshi really is. He/she/they might own a significant number of coins, but just as bitcoin mining and transaction confirmation is decentralized, so is the work and effort which has brought it along this far. Nakamoto set the ball in motion but Popper shows that the fate of bitcoin is now in the hands of investors and ideologues who continue to work on bitcoin and the infrastructure around it. Bitcoin is no longer driven by Silk Road purchases, unregistered gambling sites, and the passionate crypto anarchists who made it viable in the the early years. Today, bitcoin is slowly gaining respect with industry leaders and, reading between the lines, Digital Gold coyly hints what may be around the next corner. Digital Gold: Bitcoin and the inside story of the misfits and millionaires trying to reinvent money is available on Amazon or from Overstock.